Solow continued his impressive form this season with a dominant victory in the Sussex Stakes at Goodwood. Freddy Head's French challenger, ridden by Maxime Guyon, beat Arod by half a length, while Gabrial finished third. 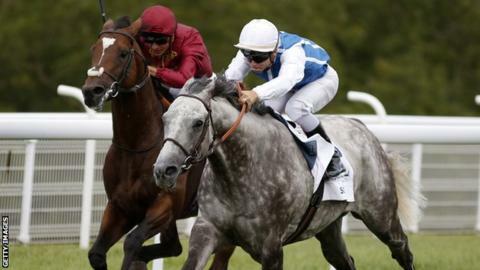 It was Solow's fourth top-level win this season after triumphs in the Dubai Turf, Prix d'Ispahan and Queen Anne Stakes. "He is unbelievable. He's won four Group Ones this year - it's crazy," Guyon said. "He is easy to ride. He doesn't pull. After he uses his turn of foot, he stops a little bit, which is why he doesn't win easy, but he's really good. "For a jockey, he is the best. I think he is the best horse in my career."